At Global Basecamps, we like to think that we are industry leaders in sustainable travel. But when it comes down to wildlife, natural, and cultural preservation, we’re all taking notes from Africa. Countries in Africa with a safari focus long ago realized the fate of their economy rests on the stability of their wildlife populations. Therefore, every safari guide, safari camp, tour operator and country government on the continent lists sustainability as one of their primary goals. In modern African safari tours, there is almost no such thing as UN-sustainable tourism, and that’s why we love traveling there. Without question, Africa’s wildlife, from the Big Five to its thousands of varieties of birds, are the main reason it welcomes so many international travelers. Unfortunately, and horrifyingly, humans are the main threat to the beautiful ecosystems of central and southern Africa. Poachers across central and southern Africa routinely hunt endangered wildlife, driving certain species to extinction. This issue is being met head on by governments, and new rangers are patrolling the world’s largest national parks every day. Additionally, new national park land is being demarcated every year. Even more inspiring in our opinion are the private conservancies, completely funded by tourism, that have also bought thousands of acres of land, with the goal of helping to preserve wildlife. These conservancies are often the result of multiple safari camps and lodges pooling their resources, and acting together, sometimes acting in partnerships with national parks. This benefits travelers, as these conservancies often feature less traffic from other travelers, as well as the protected wildlife that call them home. 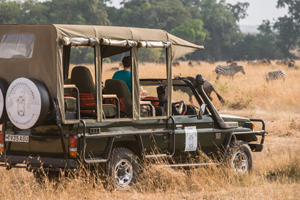 A wildlife safari in Africa is an education in conservation. On a safari, one is likely to share a car for hours with at least one wildlife safari guide, who is passionate about what he does. The message they often send is clear: animal conservation is an ongoing issue, and tourism is the fuel that burns in the fight against animal poaching. Let us leave no doubt, your tourism dollars directly contribute to the preservation of wildlife in Africa. Though they likely play a supporting role to the wildlife, the human cultures that live in Africa are equally fascinating and rewarding to see. The most well-known example of this cultural promotion are the Maasai tribes that live a semi-migrational lifestyle in Tanzania and Kenya. Their red clothes, colorful jewelry, knowledge of their land, and eye-catching tribal dances all bring foreign travelers to their villages by the hundreds and thousands. This allows Maasai women to sell their artwork and crafts directly to wealthy travelers, creating a second source of income for local families. This hasn’t happened by chance; Maasai tribes have carefully branded their culture, and marketed it in such a way as to guarantee that tourism will continue to be a benefit for years to come. Tourism supports schools across Africa, where governments may fall short in providing sufficient funding. 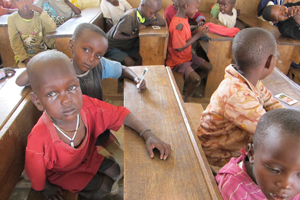 Many a safari company directly funds schools in the areas in which they operate. Similarly, many lodges and camps claim a school near their location, where many of their employees’ children are likely to attend. This symbiotic relationship, between a local village and the local safari camp, repeats itself over and over again across the African savannah, and helps maintain a local culture while ensuring an educated future. Indigenous cultures are in danger of being absorbed by modernity and western culture all over the world. Certainly, the call of the urban centers and capitals must be tempting for young indigenous people. Cities continue to grow and local village continue to shrink. Sometimes, it may seem like there is no choice; one must move to the city or die impoverished. 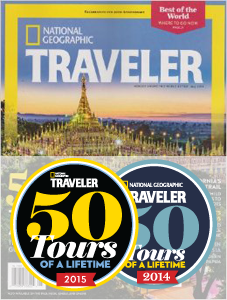 Tourism completely changes this dichotomy, giving families a choice to move or stay, at will. Thanks to tourism, there is money to be made near home. You may be planning your African safari, but are not sure exactly which country you want to visit. Global Basecamps has published a guide that will help you make this decision! Click below to learn more!